This chapter will introduce a definition of the theory of Gender Economics to create a development pathway for the future study of Gender Economics as a concept. The definition covers Gender Economics and its application in business at a micro level, as well as in policy and economic theory at a macro level. 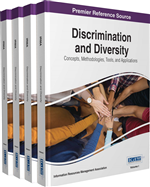 This chapter introduces Diversity Economics, a concept that looks at leveraging innovation and performance from diversity. This chapter firstly defines four major categories of economic activity where this author believes that gender, and particularly women, plays a role, i.e. Investment, Policy, Environment, Innovation and Health. Secondly this chapter details examples from three of the category definitions of Gender Economics.